With some of the most beautiful landscape and beaches to explore in Pembrokeshire and its' surrounding counties - why not take home some extra special artwork from your trip? 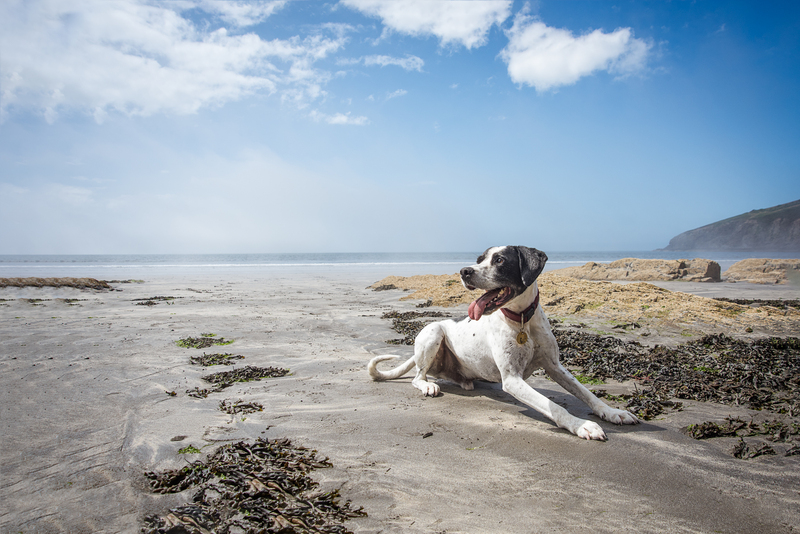 Let Andrea Jones, professional dog photographer, accompany you on an adventure to capture your four legged friend as they explore the sights and smells of West Wales. Her relaxed and stress free photo sessions are tailor made for each and every dog and are designed to capture their character and personality in truly original images. 'Traveler Sessions' are designed specifically for pets who are only visiting the area for a short time. Consisting of a bespoke on location photo session for 1-2 dogs, professional retouching of the best 20+ images from your session, selection of your favorite images from the comfort of your home, a Fine Art print & social media ready file of your choosing for personal use, plus help and advice to help you create your truly personal artwork afterwards. Please note that all bespoke artwork is purchased separately. Coastal Cottages guests are eligible for 10% discount on Traveler Session fees. Please contact our Concierge Team for more information.